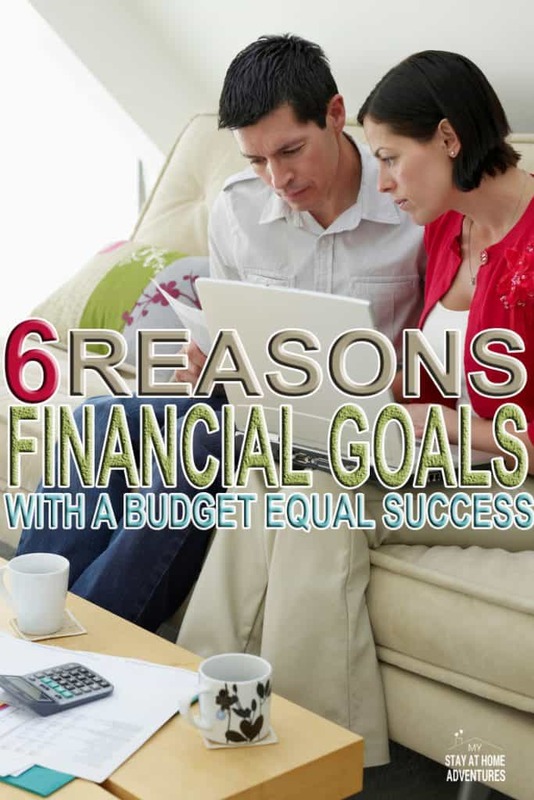 Reasons Financial Goals With A Budget Equal Success! Don't want to fail financially, create financial goals with a budget and you won't! One of our goals for this year is to invest our money, increase our savings, and make extra money Do these plans sound familiar? We have sat down and mapped out our year, but our financial goals won't happen if we don't have a budget. Not just a budget, a great budget that will work for us. 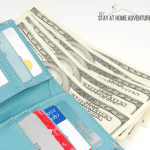 We have been budgeting in our home for many years, but in recent years we have seemed to slack a bit when it comes to savings and investing. This is why we are making 2017 the year to save BIG! 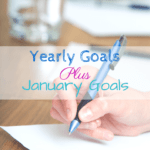 And in order to make this year a successful year, we have to create financial goals with a budget that works. How important is a good budget? If you are creating financial goals and you don't have a budget, you are going to fail! How would you be able to know where your money is going? 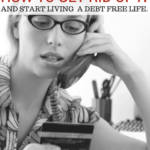 Will you be able to save and eliminate debt? Remember that your budget will be a blueprint for your finances! To be successful in achieving the financial goals you need to start with a budget. If creating a budget intimidates you, then I'm here to help understand why budgets are important and how to create a budget. Here's a quick step by step on how to start a budget, so your financial goals are successful this year. A budget is a set amount of money that is available for spending. This is based on your plan for how this money will be spent. For your financial goals, you created this year; you will have to plan where your money will be going. You will take control of where your money is going to go. To take control of your finances take a moment and write down what your goals are. For example, if you want to save money to increase your emergency fund this year write that down. If your goal is to eliminate debt, then write that down. To me, it is important that everyone in the household is on the same page about the family finances. By writing down your goals down, it keeps you all focus and on the same page. If a year goal is too challenging for you, start by setting weekly goals. For example, I need to save $52 this week for my weekly challenge; this will be my weekly goal. I need to save $1378 for this yearly challenge this will be my annual goal. To make this challenge more achievable, I decided to break it down into weeks and then months. I know that I tend to get discouraged and to keep motivated by breaking it down into shorter and achievable goals. Create a goal that is realistic and works for you. When you write your goals and achieve them, it's the greatest feeling ever regardless of how big or small your goals are. How To Be SMART When Setting Financial Goals – You learn how to implement the SMART system. The Super Easy Way to Set Short-Term Financial Goals in the New Year – This is very helpful and motivational. After writing your goals start creating your budget. You can create a budget by writing it down on paper, by creating a spreadsheet, or by using online tools. Whichever way is easier for you as long as it works for you. Make sure all your incomes and expenses are accounted for when creating your budget. Free Budget Spreadsheet Template – Life and a Budget offers a free budget spreadsheet that she uses herself. The Penny Pinchin' Mom offers free debt and budget forms. One is print and complete by hand, and the other one is budget form. 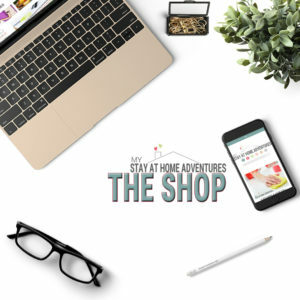 The Mostly Simple Life has a very simple budget they use and goes into details on how to use it. Think of a budget as a spending plan, a financial blueprint. Always start with needs first then your wants, if you can afford to. If you are trying to cut down your debt and planning on saving money for this year, then limit your wants until your finances under control. When I first created our budget and started using Mint.com, I realized that we were spending way too much money eating out. It was an eye-opener to see how a few bucks here and there can add up. When you start working on a budget, you will see exactly where your money has been going. The goal of your budget is to be equal or less than your take home. This is where the challenge begins. If your expenses are more than your income, then you have to start making adjustments to your budget and your lifestyle. Again, our problem wasn't our income it was our spending habit and our mindset. We took control of our wants and started focusing on our needs. Not only did it help reduce our spending, but it also gave us a clear look that we were the reason our finances were out of control. When I first started working with our budget, I felt like I wasn't getting it right. One thing I learned was that not all budgets are the same. I used to search online for help to create a budget and will start creating it and comparing my budget to others. That’s when things were not working out. Never compare your budget with another person's. It took me a few tries (months) to get it right. Most people have detail-oriented budgets, and other just keeps it simple. I like it in between, and it works for us. Just remember to spend less than what you bring home. Please don't give up after your first attempt at a budget. Learn it and work with it until you get the budget that is right for you and your family. Your budget will never stay the same; it will change according to your finances and focus. Always check and review your budget. Don't create a budget and then forget about it until the end of the month. You can always readjust and make changes to it as you go. Always sit with your partner/husband and discuss it. Be honest and communicate and listen to one another. 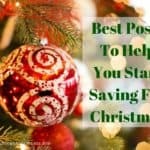 My goal this year is not only to save big, but to help and motivate others to save too! The steps and the resources given above will help you achieve your financial goals this year. Just remember that you need an amazing budget behind it! You read financial goals with a budget now I wan to know when it came to your financial goals was budgeting the hardest part or keeping motivated? 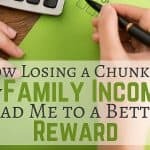 limited resources, budgeting makes it easier to make ends meet.